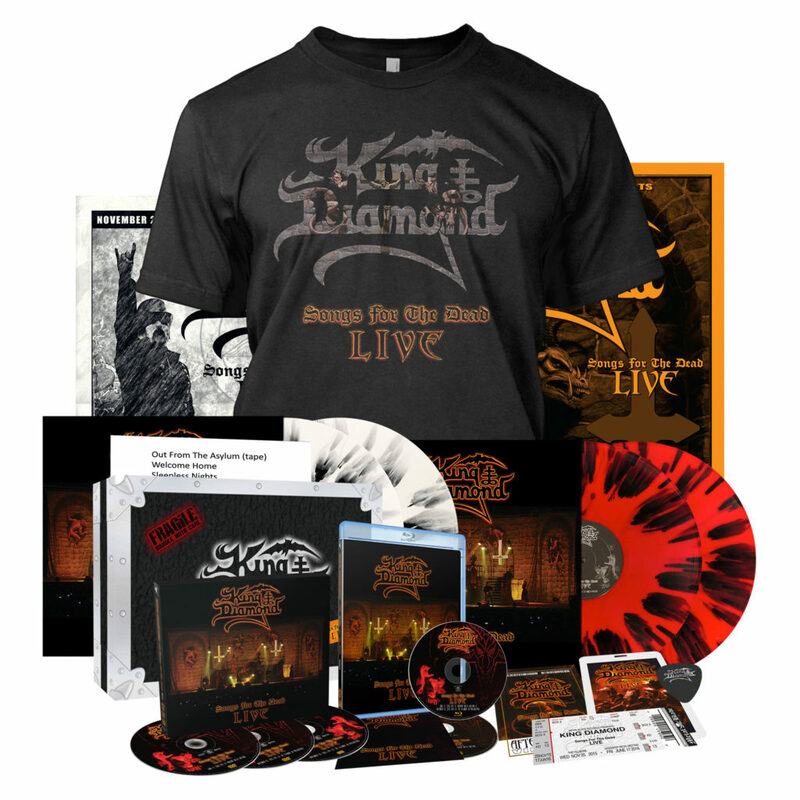 King Diamond news: King Diamond announces new DVD/Blu-ray, ‘Songs For The Dead Live’, and also new video “Sleepless Nights (Live at The Fillmore)” now online! 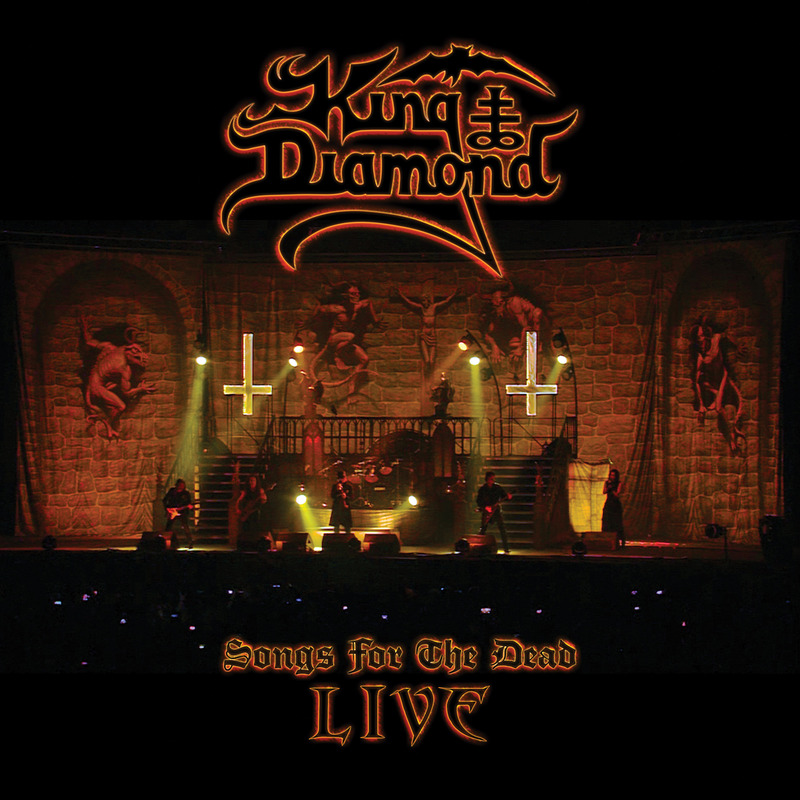 On January 25th 2019, King Diamond will release a new DVD/Blu-ray, Songs For The Dead Live, via Metal Blade Records. Captured on film by director Denise Korycki for Wild Wind Studios, she worked closely with King on every aspect of filming, and throughout the viewer finds themselves front and center as the shows unfold. This includes some inventive camera placement, such as riding in on the back of the wheelchair as it is wheeled out to “Out From The Asylum” at the start of the show, or looking up from the coffin at the commencement of Abigail opener “Funeral”, which adds an extra dimension to proceedings. 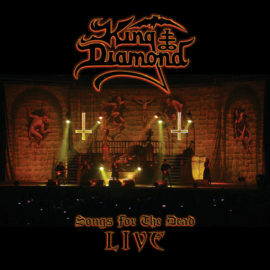 The Fillmore show is immediately more intimate, and rather than a mixed bag of metal lovers drunk on a weekend of the heavy stuff, the audience is comprised entirely of the King Diamond devout, screaming back every word, their love for their hero bleeding from every frame. Songs For The Dead Live gives those who missed out on seeing these shows in the flesh a chance to vividly experience them, offering so much deeper an experience than your run of the mill live DVD.